Randal did a series of scientific illustrations for Dr. John Delly, scientific advisor to the McCrone company in Westmont, Illinois. 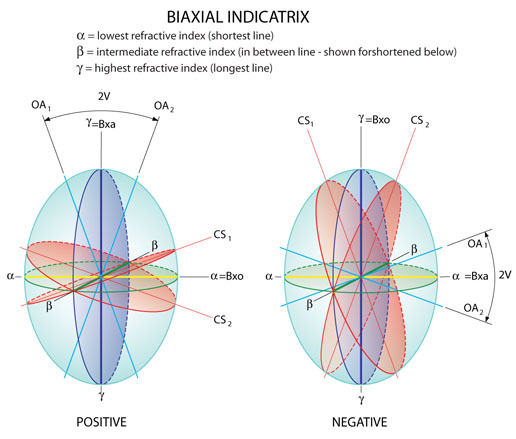 This diagram of a Biaxial Indicatrix was used in a training manual for lab technicians to learn how to identify optical light refracting properties of crystals. The reason this is important is that forensic labs get lots of different “white powder” substances to identify. One part of identifying what the substance is, is by studying what happens to light as it passes through a crystal of the substance. This is often done in a forensic lab environment using sophisticated optical microscopic equipment.